Caribou Ranch is currently closed to protect spring migratory birds and elk calving and rearing. The park will reopen on July 1. 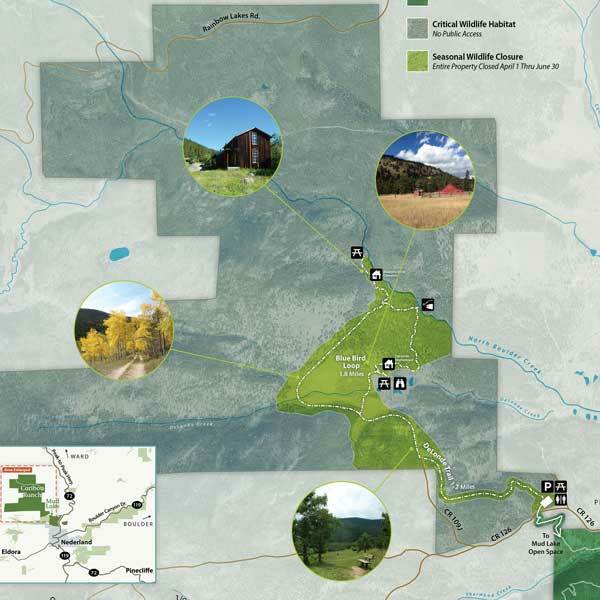 In the shadow of the Continental Divide, Caribou Ranch Open Space offers a variety of landscapes for you to explore including forests, meadows, wetlands and a historical mining complex. Caribou Ranch is closed annually from April 1 through June 30 to protect spring migratory birds and elk calving and rearing. 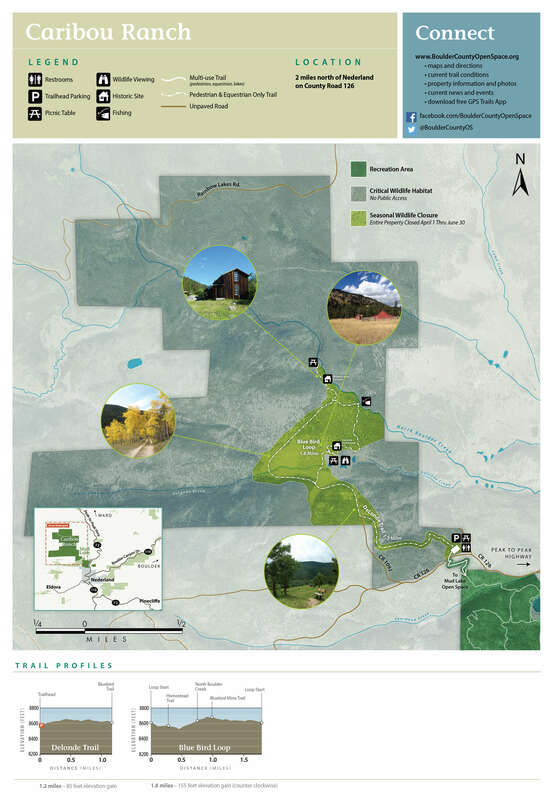 The 2,151 acres of Caribou Ranch are located between 8,300 and 10,000 feet, in the montane life zone. At this altitude, beautiful summer wildflowers bloom later here than at lower elevations. The property offers a variety of landscapes to explore including wetlands, meadows, streams and forests. The presence of water and forests make the property ideal for moose, but many species of mammals and birds call this property home. Much of the rock at Caribou Ranch is Boulder Creek granodiorite and biotite (black mica) gneiss. These rocks formed deep beneath the earth’s surface around 1.7 billion years ago. Uplift and erosion exposed these rocks at the surface where we see them today. One and a half million years ago glaciers formed above 8,000 feet and carved U-shaped valleys as they moved down-slope helping shape Caribou Ranch Open Space. Blue azurite, often found in silver ore, gave Caribou Ranch’s Blue Bird Mine its name. In the 1870s, miners flocked to work at the Blue Bird, as well as other mines in the area. In 1905, Blue Bird became a tourist destination on the newly completed Eldora Line of the Switzerland Trail of America. The origin of the name Caribou is said to have come from William Martin, a prospector, who discovered the Caribou mine. Martin had been mining in the Cariboo Range in British Columbia and saw a connection with the two places. In 1936, Lynn W. Van Vleet purchased the Ranch and established the first Arabian horse breeding operation in Colorado. In addition to sponsoring public Arabian horse shows, the Van Vleet Ranch hosted two Warner Brothers films, Arabians of the Rockies and Sons of Courage. Portions of the 1966 film Stagecoach were filmed at Caribou Ranch and featured Ann-Margret, Red Buttons and Bing Crosby. The film was a remake of the 1939 western with the same name. 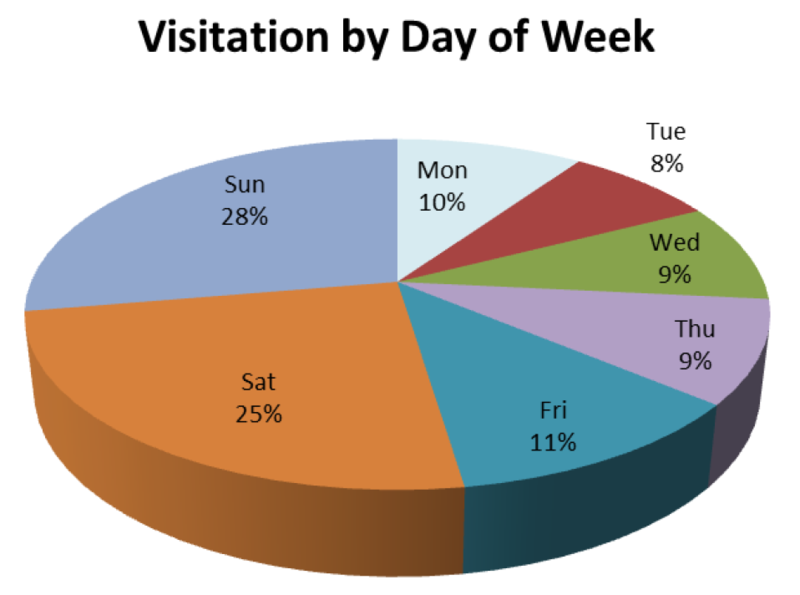 If you are interesting in watching a promotional video for the film, contact Sheryl Kippen. In 1971 a barn was converted to a recording studio on private property near the open space. This studio, called Caribou Ranch, attracted artists such as U2, Billy Joel, Chicago, Elton John, Rod Stewart, and many others. The studio closed after a March 1985 fire destroyed the control room.